Complete FCL (FULL CONTAINER LOAD) and group LCL (LESS CONTAINER LOAD) from around the world. 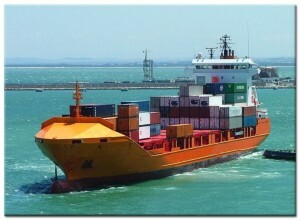 Carriage of goods by Container from all the major ports of Europe, Asia and America. Network correspondents specialized in groupage loads (LCL) using various types such as Container: DRY Cargo 20 ‘, DRY Cargo 40’, DRY Cargo High Cube, Reefer, Open Top.